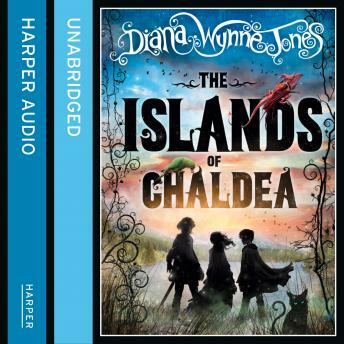 The brand new and final novel from the magical pen of 'the Godmother of Fantasy', Diana Wynne Jones; co-authored with her sister Ursula Jones. How are you supposed to turn into a Wise Woman if your powers just won't show up? Aileen is convinced she'll never become as magical as her Aunt Beck. Then one day her aunt is set a seemingly impossible mission. She must go to the island of Logra and rescue the kidnapped High Prince from the enemy, and Aileen must go with her. They set off along with Ivar, Aileen's spoilt cousin, and Ogo his clophopping servant, recruiting on their way a huge and elusive cat, a monk with an uncannily wise parrot, and a boy inventor who keeps a pet lizard up his sleeve. But this is no band of mighty warriors, and the evil Lograns and their wizards have blocked their way with an invisible barrier in the sea. Aileen doubts that even with all the magic in the Islands of Chaldea, including Aunt Beck's, they will be able to penetrate it.